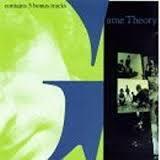 One of the buried treasures of the power pop genre is The Big Shot Chronicles by the California based Game Theory. The band was another in the long list of groups that garnered significant critical acclaim but never achieved more than a cult following with the public. That’s exactly the type of artist we strive to expose through the SotW. My favorite song on The Big Shot Chronicles and today’s SotW is “Erica’s Word”, written by bandleader Scott Miller. “Erica’s Word” has all the hallmarks of great power pop – a solid beat, chiming guitars, a strong melody and, of course, a killer singalong chorus. All of this is expertly produced and mixed by the talented Mitch Easter, best known for his work with R.E.M. Game Theory’s (Miller’s) lyrics are noted for their sophistication and cleverness. One of the often cited lines from “Erica’s Word” is the nerdy “Erica’s gone shy, some unknown X behind the why, All is soulless today, Mass not conserving in the old way” — where math and physics collide. Sadly, Miller ended his own life at the tender age of 53, four years ago this month. This entry was posted in song of the week, tom and tagged Erica's Word, Game Theory, song of the week. Bookmark the permalink. ← Jonathan Demme has died. Thank God mainstream wasn’t on my radar anymore by the 80’s. Wilson Pickett and the Hellacopters have a different approach and both sound great. I believe WP’s boast, his voice says it all. The Hellacopters let the drums and guitar declaim.